Kanwal Enterprises is a leading organization that is engaged in manufacturing and supplying wide assortment of Edge Sealing Machine in optimum quality. It is used for sealing boxes and cases on assembly line. These sealers are available in various operative specifications that help in matching the demands of customers worldwide. 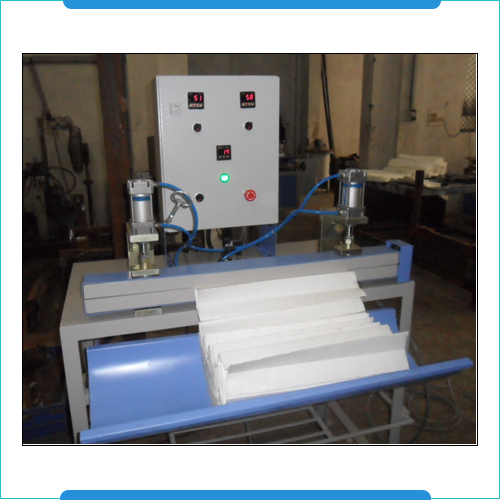 For the convenient of several industries, Sealing Machines are also available with us in semi -automatic and fully automatic options that have extremely attracted our buyers in all across the world. Its unmatched features and wide application in various industries have made the machine popular. Thus, we are glad to introduce ourselves as one of the prominent Manufacturers, Exporters and Wholesale Edge Sealing Machines Suppliers from Haryana, India. We have gained huge appreciation among the most determined Edge Sealing machine manufacturers, exporters and suppliers in all over India and abroad as well. You can reach us through the details available on our website. We’ll be glad to answer all your queries. So, be in touch now.